Try red, shades of pink from the softest powder to a lovely fushia and use hints of lilac, baby blue or soft yellow for a stunning color theme. 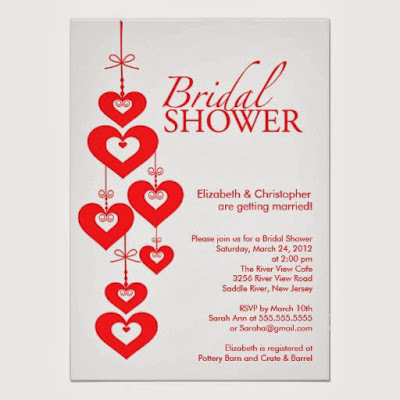 In introducing the Valentine theme to your guests invitations are the perfect way to do it. 2. Heart-shaped confetti sprinkled inside the envelope. 3. 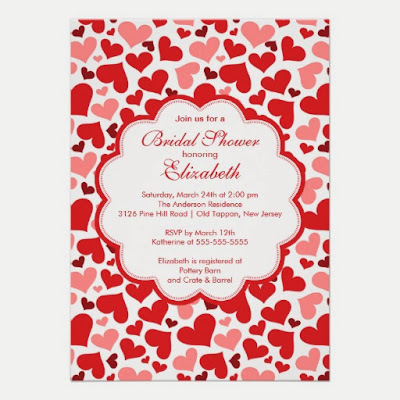 Punch a heart-shaped hole in the envelope alongside the guest's name showing the contrasting color of the card placed inside. 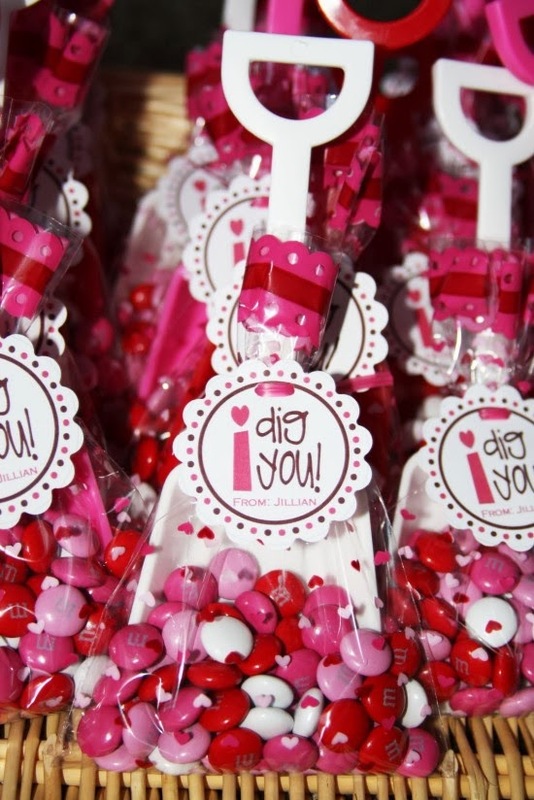 These are a few very appropriate favors for this shower theme. 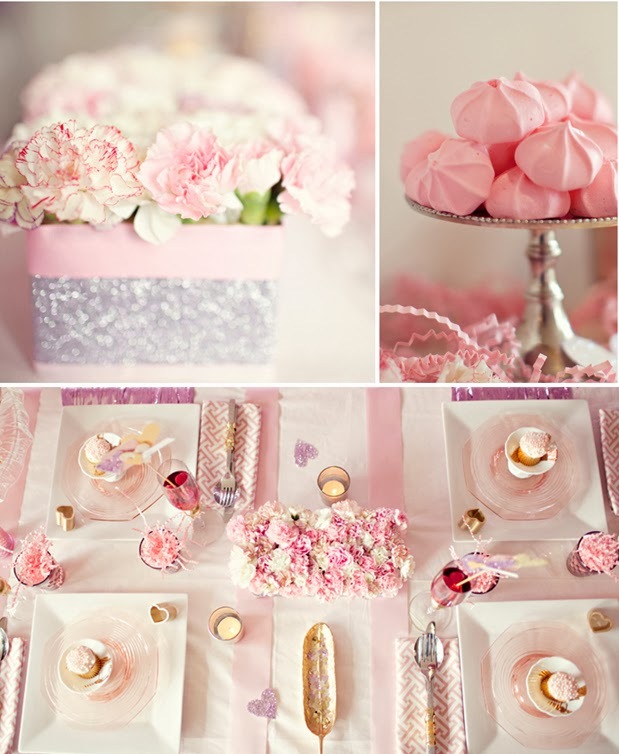 A tablecloth of pink or red with an overlay of a lace cloth is gorgeous, or a red cloth and a table runner in a soft pink looks stunning. 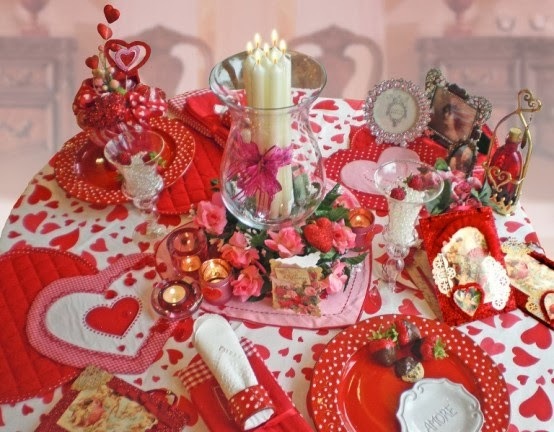 Your napkins should match your tablecloth or decor and the plates and flatware should also match the Valentine theme. 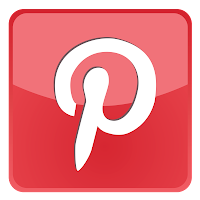 Find a not to tall vase around your house and fill it with red and pink carnations, or tulips or splurge on roses and drape lovely satin and lace ribbon down the sides to cover the vase. Buy clear votive holders and candles in the colors you are using. Get red and white sprinkles and pour some in each votive holder. place the candle on top and make an attractive arrangement in the center of the table. Light the candles when it is time to serve the food. Either of these are really lovely and rather inexpensive. Shower food should be light and attractive. 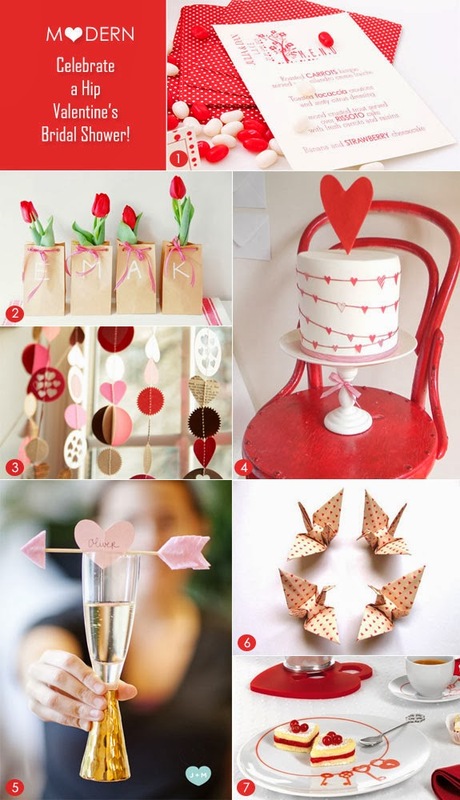 You might have finger sandwiches cut with a heart-shaped cookie cutter for a special touch. Crab filled mushroom or cherry tomatoes is also very nice and good finger food. A light salad of romaine lettuce mixed with mandarin oranges and candied walnuts and a splash of raspberry vinaigrette is very refreshing. 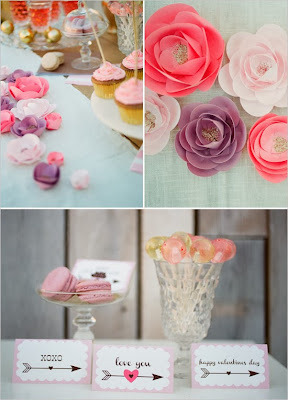 Your dessert may be a heart-shaped decorated cake, Red velvet and pink iced cupcakes, heart-shaped decorated cookies, or anything that might be a favorite of the bride's. A champagne or non alcoholic punch, freshly brewed coffee, and assorted teas can be served for the beverage. Sure your guests may not want to play involved games, but who doesn't love a present? As your guests enter, have them write down their birthdays or wedding anniversaries, which ever they wish and just the month and day. The guest whose date is closest to the wedding date wins a prize. The hostess can then copy down the birthdays and anniversaries in a nice birthday book for the bride, so she'll always know when to send a thoughtful card. Since a Valentine Shower is romantic and personal you might want to have it a lingerie and/or personal gift shower. Another idea is to have the guests bring things that the couple can enjoy as they start their life together such as gift cards for a favorite CD or video of a favorite movie or music they like. Tickets to a place you know they both like and want to go. Just remember this is the bride's most important time with her closest friends and family as they celebrate her coming wedding and their special bond with each other. Make it just that.